Would you squander it? Would you change your life? Would you promise to start over and then lapse back into old habits? We think, most often, of second chances in life as being related to health or even near-death experiences, but they can just as easily be second chances at relationships. Often, second chances at life and second chances at relationships are intertwined. While he might have been grateful for a second chance at life sometime in that first 48 hours, any gratitude that had been there quickly dissipated. He lived another 6 ½ years after that, making life for my mother–his full-time caregiver–a living hell and dumping his toxicity on his children as often as possible in dramatic manipulations to keep us close at hand. He could’ve spent that time instead working on his relationships. Maybe making peace with his children. Maybe apologizing for the beatings we had suffered at his hand, his belt, whatever tree branches might be picked up in the backyard, or hammers that might be hurled at our heads. He might also have worked on his health so that he could live long enough to see my children graduate from high school and later from college. His diabetes was controllable with diet, and yet he settled himself in front of the TV with his nightly bowl of ice cream and instead demanded insulin shots to keep his body going. He could’ve been a changed man—we needed him to be a changed man—both for us as well as for himself. Instead, he squandered that 6 ½ year gift. And by the time he died, it was a tearless relief. Contrast that with a woman who worked for me in the 90’s. She showed up at my desk, in a brand-new career field, starting at entry level and the slightest of limps. She had not yet healed physically from a car accident. But mentally, she was clear-headed and determined. The car accident had changed her life–a near miss that could’ve ended in death instead of a few injuries that she did recover from in time. It was a wake-up call for her, she said. A second chance. 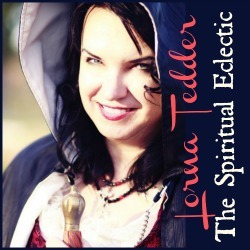 She’d been in a job she hated, a relationship that was going nowhere, in debt, unhappy. Insurance paid her bills in full and gave her just enough of a nest egg to pay off all of her debts and be free to start over. A new life, on her own terms. She changed careers, dropped the no-good boyfriend and stepped forward into a second chance at life with bright eyes and positivity. For all the years that I knew her, before she changed careers again to follow her heart, she was always full of life, a positive attitude, and a refusal to allow herself into an unhappy rut. She never went back to her old way of life or her old way of thinking. She was brand-new and shiny. She was the second person I thought of as I raced across Florida to the emergency room where my younger daughter had been taken, the result of a multi-car pileup in which she been rear-ended at 72 miles an hour. My daughter fully understood how lucky she was to have survived and, sure enough, a saw in her the same change in mindset that I had seen in my employee years ago. In the blink of an eye, she changed almost everything–her new career, her residence, friendships, relationships, everything. She’d been given a second chance and she knew what was important, and she also knew the importance of not wasting time to follow her heart. It’s a shame that some people have to go through a near-death experience to follow their hearts and make changes that would give them better lives. Most people tend to need that external force to make those changes however. So what would you do if you were given a second chance at life after a dire health situation or near-death experience? Would you squander it? Would you start over? Would you clean the slate and rebuild your life the way you want it to be? Or, would you fall back into old habits? Does it require something dire for you to realize that every day is a second chance? And what about relationships? If you’re offered a second chance, do you squander it, turn it away immediately? Or do you try to make things right this time? 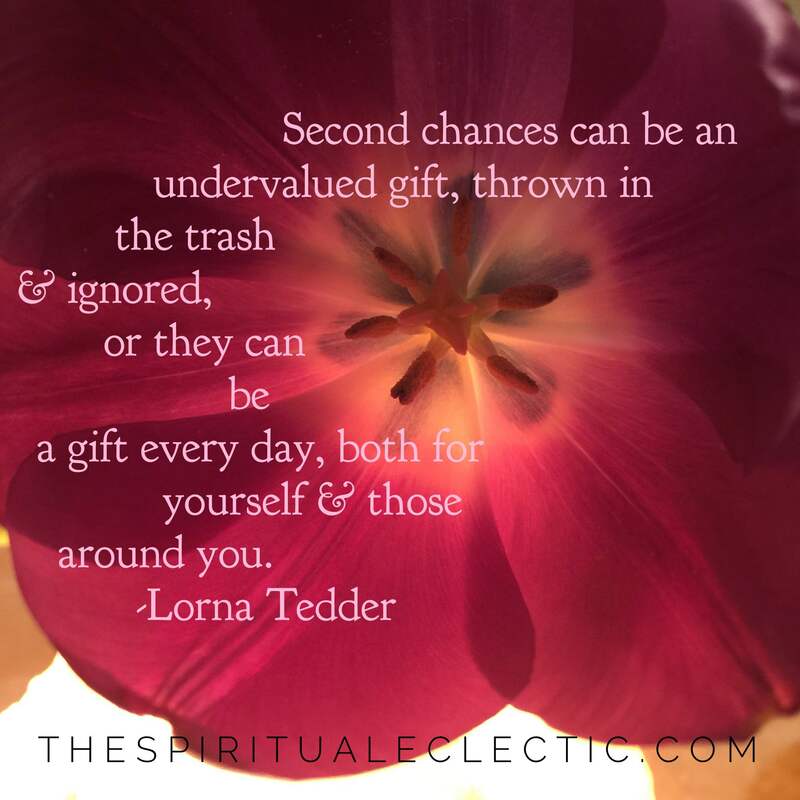 Second chances can be an undervalued gift, thrown in the trash and ignored. Or they can be a gift every day, both for yourself and for those around you.